More than 150 students, developers and scientists working in the field of neuroscience spent a sleepless weekend at the Skolkovo Institute of Science and Technology (Skoltech) on November 16-18 for a neuro-hackathon, racing each other in teams to find solutions to tasks ranging from diagnosing multiple sclerosis to using electromyography to control a prosthetic hand. Team Garbage Creators, the winners of the open track at Skoltech's neuro-hackathon. Photo: Kleiber Bionics. Participants competed for prize money of 1 million rubles ($15,000) in two categories or tracks, labelled scientific and open. In the scientific track, participants were given the task of using artificial intelligence to diagnose multiple sclerosis (MS) on magnetic resonance imaging (MRI) scans of the brain. Anonymous MRI and clinical data from real patients was provided by the Research Centre of Neurology in Moscow under a licensing agreement with the CoBrain Analytics platform, one of the event’s organisers, while two representatives of another organiser – Philips – gave master classes on the role of artificial intelligence in diagnosing and treating multiple sclerosis, and were also part of the event’s panel of judges. Participants in the open track of the neuro-hackathon worked on Skolkovo resident Kleiber Bionics' prosthetic hand. Photo: Kleiber Bionics. “The aim of our neuro-hackathon was to find new market players, not only as far as neuromedicine is concerned,” said Alexander Kuleshov, president of Skoltech. Another aim of the event was to feed in the data obtained from modelling neurological tasks to the CoBrain Analytics platform, a national research project spearheaded by Skoltech researchers that is compiling one of the world’s biggest collections of neurological clinical data, such as MRI scans, tomograms, biochemical and clinical test results, in order to analyse patterns and results and eventually use them to diagnose illness. The event’s organisers, who along with Skoltech, CoBrain Analytics and Philips also included the National Technology Initiative Centre of Excellence for Wireless Communication and the Internet of Things, said that the algorithms for diagnosing MS developed by participants of the neuro-hackathon could form the basis of software for medical institutions, and that many of the products created by the teams during the intensive weekend were worthy of commercialization. The results produced by teams in the second category – the open track – were no less impressive, according to Ivan Krechetov, CEO of Skolkovo resident company Kleiber Bionics, which makes bionic prosthetic hands. 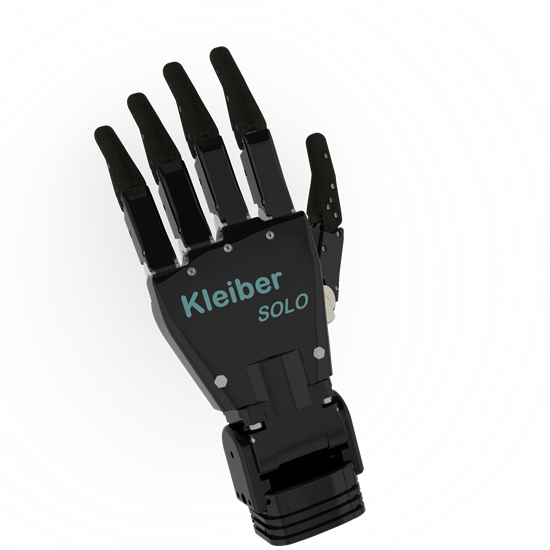 Kleiber Bionics set participants the task of integrating an electromyography (EMG) bracelet with its prosthetic hand, meaning the bracelet would recognise electrical activity produced by muscles and generate hand movements accordingly. Five teams initially accepted the challenge, though only four completed it, Krechetov told Sk.ru following the neuro-hackathon. 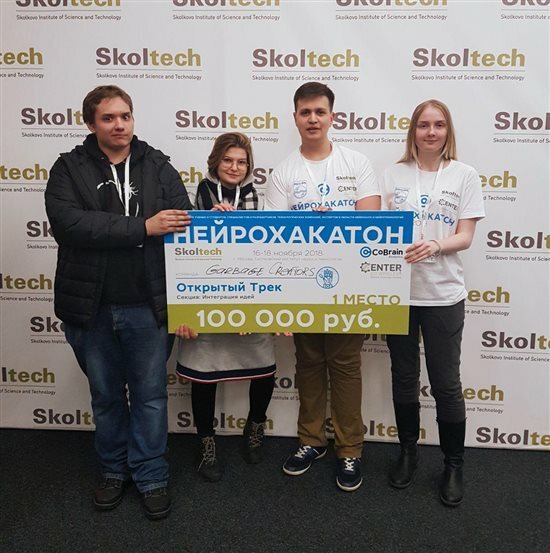 A team named Garbage Creators won first place in the open track, taking home 100,000 rubles, a Kleiber Solo bionic prosthetic hand and an EMG bracelet for their project for processing electroencephalogram (EEG) signals, which record brain wave patterns. The team that took third place overall, Turing’s Bicycle, was actually rated the top team by Kleiber Bionics, said Krechetov. "The biggest scientific breakthroughs in the future will be linked to understanding how the brain works" - Skoltech president Alexander Kuleshov. “They solved all three tasks with varying degrees of accuracy: the automatic calibration of the bracelet to the user, recognition of four different hand movements or gestures, and recognition of muscle effort,” he said. Members of the Turing’s Bicycle team will go on to intern at Kleiber Bionics, said Krechetov, who also acted as a mentor and member of the judging panel at the event. Kleiber Bionics may even end up employing one of the neuro-hackathon participants, added Krechetov. Most of those taking part in the neuro-hackathon were students and PhD students from all over Russia, though there were even some schoolchildren taking part in some sections. Of the prize fund of 1 million rubles, half of that was awarded to the team that won the scientific track: NeuroteamZero. Syberia, a team from Tomsk that took second place in the same track, won 100,000 rubles, as did the winners of the open track: Squirrels per ha , Garbage Creators, FaRaDenZa and Siny Git. The members of all the winning teams will get the opportunity to intern at the event’s partner-companies, and to take part in a Skoltech accelerator that is due to be launched next year. The event was held as part of the NeuroNet road map, a section devoted to artificial elements of consciousness that is in turn part of the National Technology Initiative, Russia’s programme to make the country a global tech leader by 2035.